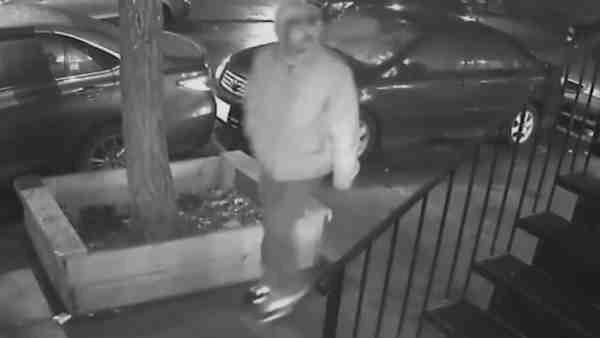 EAST VILLAGE, Manhattan (WABC) -- Police are looking for a suspect in a robbery in the East Village. Just before 5 a.m. on May 7, near East 10th Street and First Avenue, the suspect followed a woman into the vestibule of a residential building, tackled her to the ground and ripped her purse out of her hands. According to the New York City Police Department, the suspect fled west on 10th Street. The victim recovered her purse a few blocks from the incident location. The individual is described as a male Hispanic, 40 to 45 years old, 5'8", medium build; last seen wearing a red hooded sweater and blue jeans.